“Villages within the city” is the best way to describe the “West of Twin Peaks” area of San Francisco. Bounded by the Pacific Ocean to the West, Daly City to the South, the Sunset District to the North and the Twin Peaks hills to the East, the enclaves that make up this diverse southwestern section of the city are among the most diverse within San Francisco. West Portal Avenue, Lakeside Village and the Ocean Avenue corridors offer shoppers an eclectic mix of small boutiques, trendy restaurants, and locally-owned service related businesses. It’s not unusual to stroll down the street and see local San Francisco celebrities and politicos sipping coffee at a corner café. Further South, the Stonestown Galleria is one of the largest regional shopping centers in the Bay Area, with retailers such as Nordstrom, Macy’s and Williams-Sonoma listed among the 120+ stores that attract and delight shoppers. For many, it is the many residential “villages” that symbolize the spirit of the area. Home to many of San Francisco’s most active homeowners, the area is steeped in political activism, and usually has the highest voter participation within the city. 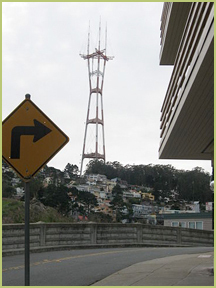 Neighborhoods such as St.Francis Wood, Forest Hills, Miraloma Park, Merced Manor, Lakeside, Parkside, Lake Merced, Taraval, Ardenwood, West Portal and Parkmerced give the area its’ unique mix. The Parkmerced development, built in the 1940s is one of the largest planned residential developments in the Western United States and features open space gardens designed by the famed landscape architect, Thomas Church. The 7000+ unit development, made up entirely of renters, comprises a mix of high-rise and low rise units that make up about 1% of San Francisco’s population. Recreational activities also rank high on the list of things to do. A summer concert at (Sigmund) Stern Grove, a walk around Lake Merced, hang gliding at Fort Funston, or a round of golf at Harding Park Golf Course are just a few of the many ways one can exercise the mind and body while being only minutes from the San Francisco Zoo, and Ocean Beach. With two colleges, San Francisco State University, and City College of San Francisco (a 2 year school), and highly ranked public and private elementary, middle and high schools, the West of Twin Peaks neighborhoods provide many different educational opportunities for its residents. Distribution by Neighborhood: St. Francis Wood, West Portal, Twin Peaks, Miraloma Park, Forest Hill, Lakeside, Parkside, Lake Merced, Parkmerced, Taraval, and the Outer Sunset.